Strengths: Russia is not short on speedy, electrifying forwards, but Afinogenov stands out with his up-tempo game and penchant for making fancy dekes around opposing defencemen. Other than being dangerous on offense, he has also become more reliable in defensive and penalty-killing situations. Weaknesses: Afinogenov’s unpredictable and explosive style of play makes him prone to losing control of the puck. He shies away from tough physical play, but occasionally takes undisciplined penalties. In recent seasons, Afinogenov has missed more games due to injury and his ice-time has decreased. Biography: Afinogenov comes from a sporting family, as his mother was a track and field athlete. He was drawn to hockey at very young age and was already on a team when he was seven. Despite being a good student at school, Maxim frequently got into trouble. His devotion to hockey paid off in his teen years, making it to the junior squad of the prestigious Dynamo Moscow. When he was sixteen, he even got to play in one game for the main team! In that same season, he began to regularly represent Russia at international tournaments. Afinogenov was Russia’s top scorer at the 1999 World Junior Championship held in Canada, winning the Best Forward award and helping lead Russia to its first World Junior gold medal finish in the post-Soviet era. In his final season with Dynamo before leaving to North America, Maxim’s team made it to the final of the Superleague playoffs, but ultimately lost. 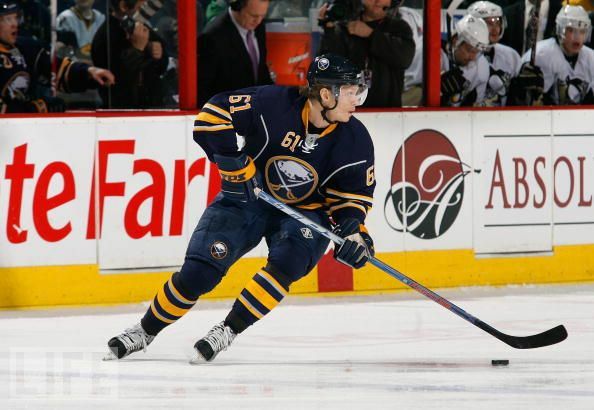 Following a stint in the American Hockey League, Afinogenov secured a spot on the Buffalo Sabres and instantly became one of the team’s most skilled players. Despite his talents, “Mad Max” did not fit in with ease in coach Lindy Ruff’s notorious defensive system. 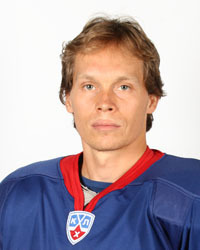 The most memorable goal scored by Afinogenov came in the quarterfinal match against Czech Republic at the 2002 Olympics, when Max scored Russia’s only goal against former Buffalo teammate Dominik Hasek. Back in the NHL, he suffered a concussion during team training camp and had to miss most of the 2002-03 season. In December 2003, “Mad Max” registered his first NHL hattrick. During the NHL lockout of 2004-05, Afinogenov returned to Dynamo and this time the team succeeded in winning the Russian Superleague championship. Returning to the NHL, Maxim led the Sabres in scoring in 2006 and continued to produce at a greater than point-per-game pace before wrist and groin injuries shortened his season in 2007. Towards the end of the 2008-09 season, he was a healthy scratch, signalling the end of his playing career in Buffalo. For the following season, Afinogenov practiced with the Atlanta Thrashers on a try-out basis, secured a spot playing alongside Ilya Kovalchuk and Nikolai Antropov and would go on to top 60 points. 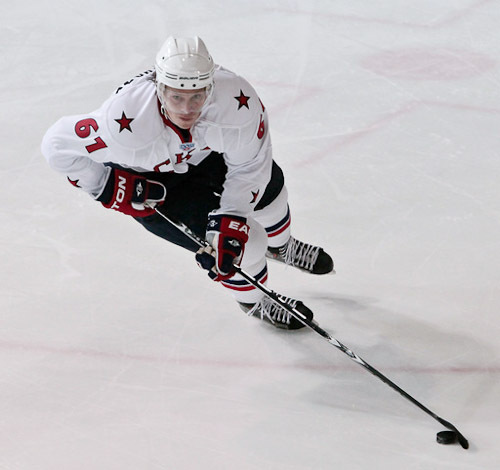 In 2010, he returned to Russia and signed a five-year contract with SKA St. Petersburg.